Processing Time: Orders may take up to 48hrs to process. Stock Availability: Stock levels listed for all our trees (including fruit trees and citrus) show current in-store availability. For all other plants, “In Stock” does not show stock levels at the garden centre, but means they are available for online ordering and delivery/pick-up. If you wish to check in store availability of a particular plant please Contact Us. Payments: Payments are not taken automatically. They will only be processed manually once the availability of plants/trees ordered is confirmed. Store Pickup: When selecting “Guildford Store Pick-up” please wait for your confirmation email advising that your order is ready for pick-up (allow up to seven days). Need a quicker pick-up? Call us to check current in store availability before ordering. Delivery: We deliver on Fridays only. Delivery may take up to two weeks on some plants/trees. Perth Metro Delivery Area: Within 20km of the CBD. WA Delivery: For delivery of plants/trees outside Perth metro please Contact Us for a quote and availability to your area. See Delivery page for more information. Australia wide Delivery: We post many items of giftware and merchandise to anywhere in Australia. Please call for a delivery quote on items prior to ordering. We do NOT deliver plants and trees or bulky items such as soil or mulch outside the Perth area. Orders may take up to 48hrs to process. Stock levels listed for all our trees (including fruit trees and citrus) show current in-store availability. For all other plants, “In Stock” does not show stock levels at the garden centre, but means they are available for online ordering and delivery/pick-up. If you wish to check in store availability of a particular plant please Contact Us. We do NOT deliver plants and trees or bulky items such as soil or mulch outside the Perth area. If you are located in Western Australia, please contact us to discuss arranging delivery of plants and trees to regional areas. Please note do not send any plants/trees outside Western Australia. Plants: Perth metropolitan area (within 20km of Perth CBD). Please Contact us to arrange delivery outside of this area in WA. Deliveries are only made on Friday and may take up to two weeks. Garden care, furniture and gift lines: Items can be posted Australia wide. Contact us for a quote prior to ordering. Orders can be processed online and collected from our Guildford store without any shipping or handling fee. When selecting "Guildford Store Pick-up" please be aware that the order cannot be collected until after you have received a confirmation email stating that the order is ready for pick-up. In some cases, please allow up to seven days for confirmation. If you require the plant/tree for collection sooner than this, we recommend calling us on (08) 9279 8645 to check current in store availability before ordering. Interstate customers - Please contact us before purchase for a delivery quote on merchandise and giftware. Very bulky or heavy items may incur additional charges - you will be contacted if this is required. Please note: Most trees are delivered via van - there is no additional charge per tree. Please allow up to two weeks for delivery. Deliveries are completed on Fridays only. If you would like to arrange delivery to a regional area, please Contact Us. Please note plants and trees are NOT delivered outside Western Australia. Plants and trees are available at different times during the year. For plants and trees that are available most of the year, we can usually get stock within one to two weeks. If you requires the plants for a set date, we recommend that the order is placed well in advance. At least two weeks is preferred. We order on Mondays and Tuesdays and deliveries are usually received on Thursdays and Fridays. If an order is placed after our order days, it is unlikely we will be able to get the order in for that week (even if available) and it will be ordered the following week. In many cases, especially with hard to source, rare/unusual plants and bare-rooted trees, we are unable give an exact price and size until the stock is available. We may however be able to give you a rough estimate of what the order is expected to cost. Not all plants/trees can be sourced all year round as many are only available seasonally. If the plant/tree is out of season, hard to source or only available rarely (this is the case for many rare and unusual perennials) you will be informed either when placing the order or as the order is processed into our system. For plants and trees that are not currently available but we expect them to be available in the future, the order will placed onto our back order. We do not call with updates on orders, however we will email once the order is in store and ready for collection, or if we have not been able to source the plant/tree. For many plants/trees (either seasonal or rare/unusual) we recommend that an order is placed as it is easy to miss out as only limited stock of these items is ever available. All dates/times given (if any) are estimations only as plants are living organisms and growth is influenced by many factors including the weather. Often we will not be able to give a time when the order may be available. There is no need to call regularly to check to see if the order is in as we will call as soon as the stock has arrived and is ready to be collected. For large orders or orders of certain plants/trees, we may ask for a deposit to be paid. We aim to source the highest quality stock available and we try to supply a tree that is suitable for the intended purpose. We cannot be held responsible if incorrect or inadequate information is provided to us. 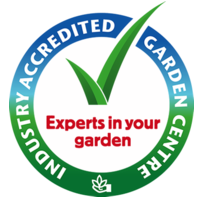 General recommended information on planting practices is available on a fact sheet either in store or on our website, however we recommend asking one of our qualified horticulturists for additional or more specific advice if needed for your situation. As a tree is a living organism, we cannot guarantee specific growth rates or mature size. All sizes and growth rates are given as a general guide and are produced under ideal conditions. Trees can take some time to ‘adjust’ to the conditions in their new position and will not necessarily put on expected ideal growth during this period. Trees leave the garden centre in a healthy condition. Should a tree not appear to be doing as well as expected, we require you to contact us immediately by email. Please provide photos plus any additional information regarding the care of that tree. Should you wait until your tree has died to contact us, we will NOT offer a replacement (at reduced cost or free). We generally require customers to contact us by the end of November with trees that have failed to shoot (in the case of bare-rooted and newly bagged, current season trees) for a full or partial refund, this is at our discretion. In our experience, when one of our purchased trees fails it is generally caused by the way the tree has been cared for and maintained. When this is rectified, the tree should recover. We are not responsible for the replacement of trees that have been incorrectly treated, under watered, over watered, incorrectly planted or generally not given adequate growing conditions. Should advice on a sick tree be sought and then implemented from other garden centres, landscapers, friends/family or neighbours, we will not responsible for the replacement of that tree (either in full or in part). When judging whether a failed tree warrants a replacement, the performance of the same trees remaining in stock (from the same batch) will be taken into account as well as any other feedback from purchasers of the same tree. Should it be deemed that the failure of the tree is not due in full to the customer, we will either replace the tree in full or at a discounted rate at out discretion. Should the said tree be out of stock, we will either issue a store credit to the value of the purchased tree or provide a replacement tree when it returns into stock. Replacement trees will be of the same value/size as the original tree. Should there be a difference in price, a store credit shall be issued or the difference is payable by the customer. All bare-rooted trees must be pruned by a minimum of 1/3. This is done by staff after the tree is purchased and before the tree leaves the garden centre. Should you refused this free service, any guarantee on the tree is void. Delivery of the tree shall not be covered by the guarantee. Should delivery of replacement tree be needed, the customer may be required to pay the fee. Regardless of the whether the tree is covered by a guarantee and replacement policy or not, we will always give advice to correct the situation. Trees that we do not offer any guarantee and replacement policy on include but are not limited to; Betula species (Silver Birches), Prunus amygdalus (Almonds), Prunus mume pendula (Weeping Apricot), Prunus sp. (Cherries, ornamental or fruiting). Please contact us if there are any queries. Please Note: Proof of purchase (either in the form of a receipt or tree label with price tag) is required for a tree to be eligible for a full or partial refund. All orders and deliveries are governed by our Terms & Conditions.